Landing a dream job and getting visibility in a creative field of architecture, art and computer graphic is not anymore just about having a great portfolio. Seeking trade shows, conferences, talks, panels, and everything in between are almost a business requirement for all creative people these days. First, it is crucial to set specific goals and know what it is I want to get out of the conference. There are many good reasons to go to a conference, but it is important to figure whether the conference I am considering attending is geared to addressing those goals. Examples might include the opportunity to present my portfolio to other experts and hero artists and get their feedback, to learn new techniques, to market my own studio. Evaluate speakers. If I am going to learn something from a conference (big or small) I make sure the speakers are in line with my creative industry, and I know about his art and his workflow. It’s up to the attendees to research the speakers beforehand to make sure that they have something to offer. Generally, you may choose to attend one larger conference and spend thousands or pick several smaller conferences. Or both, depending on your budget. Start with how much you want to spend, then find the conferences or combination of conferences that work align with the first two points. Don’t forget to factor in travel, lodgings, meals, and entertainment, because these add up quickly! In the last three years I have been to many events and conferences, so I decided to write a series of blog posts about conferences and talks I‘ve been to in Europe and share with the community how I got the most out of them. I also intend to share my views on which conferences offered the most opportunities for me to meet people, develop my ideas, raise my visibility, find inspiration and learn from tremendous architects, CG artists, and entrepreneurs. I will kick off the series with a discussion on It is Art Master Class Conference in Paris since it will happen in a couple of days and it was a turning point in my career. As the world’s capital for art, and home to some of the world’s most famous museums and galleries, it is unsurprising that some of the most famous artistic events are held here. 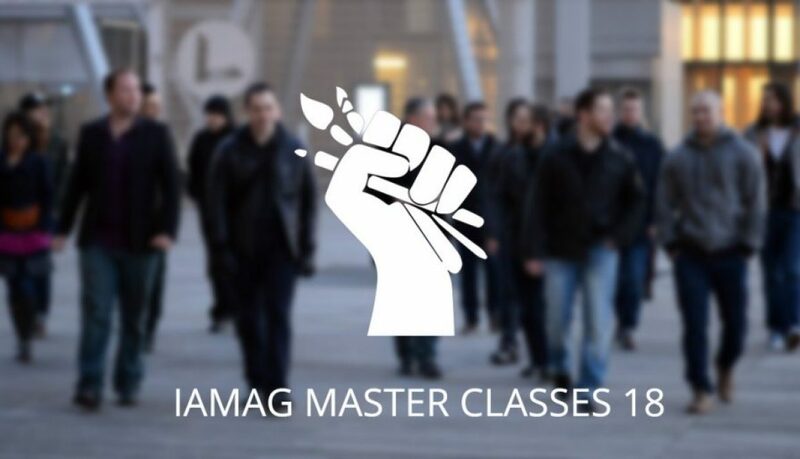 IAMAG master classes are a manifestation of digital art conferences that have taken place every year since 2015 in March and founded by IAMAG CEO Patrice Leymarie. 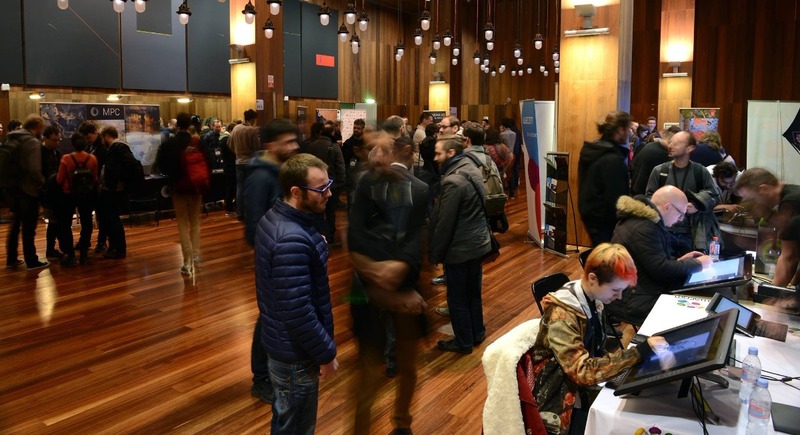 For three days, the main attractions include lectures, workshops, and meetups with various well-established artists from the fields of 3D, 2D, and animation, as well as veterans of production pipelines. The beauty of IAMAG, in my opinion, is that all fields were well balanced in terms of representation, in comparison to other events which are more geared towards concept art and 2D. Having attended this conference for the past 3 years, I have noticed that the IAMAG Conference is increasing in popularity and attracting more international artists and directors each year. Personally speaking, when I made my decision to attend IAMAG master classes’ first edition in 2015, it was to get up to speed on the current state of the CG field and get inspired and meet some incredible artists I already followed. But IAMAG was a turning point in my carrier when I met the award-winning VFX director Allan McKay, became my mentor. Thanks to this opportunity, I got the chance to enroll in his 2 mentorships FX technical director and live action series. And since then IAMAG is not just an inspiring event for me but also a meeting place to catch up with my mentor and colleagues in the mentorship. Thanks to these recurring meetups, Allan has also introduced us to prominent artists like Anselm von Seherr Thoss and Mark Theriault. On the banks of the river Seine, just east of the Île de la Cité and downtown Paris, stand the four glittering towers of the National Library of France, where IAMAG has been held. I and the rest of artists and speakers who attended the event got a chance not just to experience IAMAG but also to enjoy Dominique Perrault’s modern library design where, the core of the elevated towers, is a vast central courtyard. It is hollowed out and filled in by trees as if the urban environment had itself rotted out and been filled with life. The chosen venue of the event was very well suited for the task, and equally well utilized, the huge main lobby filled with studio and companies kiosks promoting their works. This year the venue will be shifted to Salons de l’Aveyron. Regarding the price, I found the entry price was quite affordable; it has increased a little bit since IAMAG became more popular each year but still, I found it equally priced at similar events. However, Paris is a pricey city, planning ahead when considering attending this event will save you lots of money. The list of talks consisting of professional Directors and Artists in the fields of animation, 3D modeling, 2D illustration, Concept art, Motion-graphics, VFX and Production, and Virtual reality. The topics varied from the process and the making of an incredible IP and feature movies such as Assassin Creed and Doctor Strange to more technical talks and talks about the personal journey of the speakers or their reasons to pursue their carrier and the way they managed their own brand. Walking in the lobby, makes you feel a space full of life and energy. 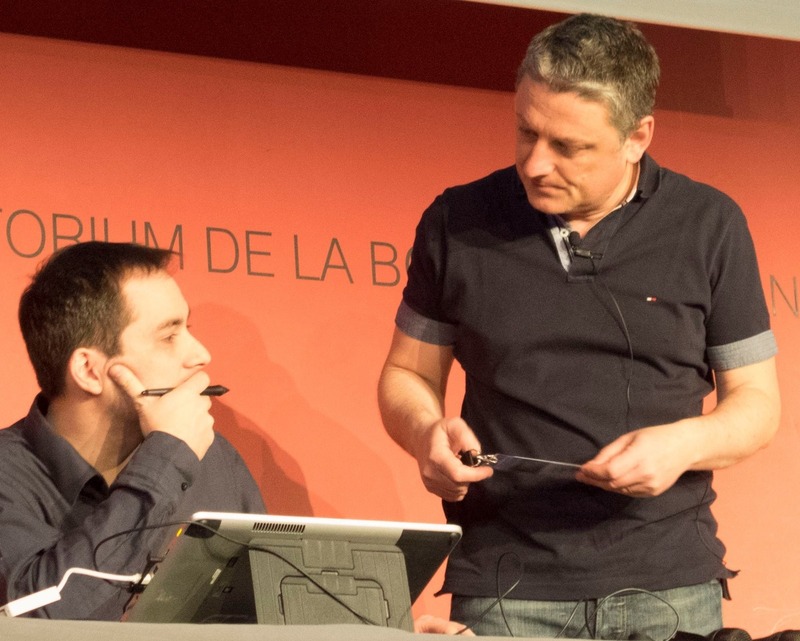 Wacom centralized itself in the middle, demonstrating its latest technology in the field. The speakers were surrounded by the attendees, providing advice, signing Artbook, and reviewing portfolio. Other attendees were laughing, joking, networking and exchanging card, taking a selfie and making new friendship. 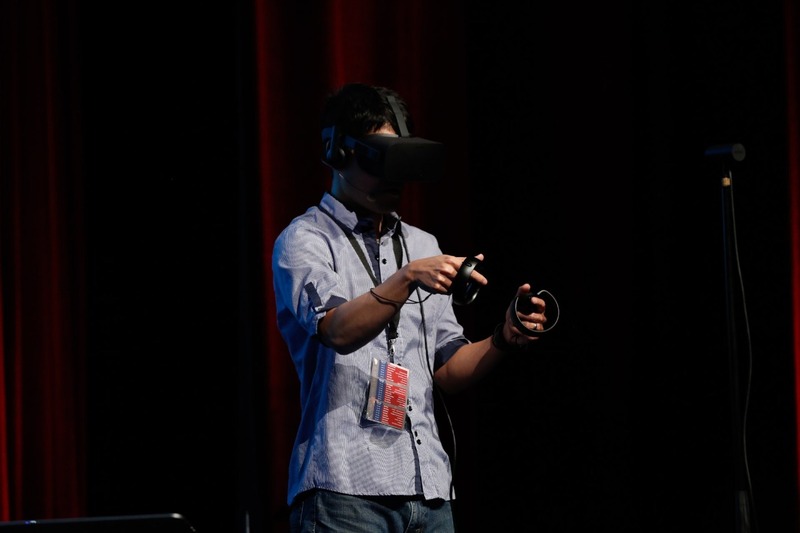 In 2017, and as a part of IAMAG activities, speakers and attendees, who were interested in Latest technology had the opportunity to experience virtual reality in MK2 VR center “Europe largest virtual reality center”, people also had chance to meet VR master Goro Fujita and observing him break dancing with oculus rift creating a stunning artwork in Quil. This year Goro will be going to give a master class in Quil expressing his technique and workflow. For the artists with travel and financial difficulties and not being able to attend the event, they still have an opportunity not to miss the magic of IAMAG event by watching the talks recorded on IAMAG TV, or They can battle on IAMAG Master league, where the winners will be provided with full ticket to Paris to attend next year’s edition. Regarding the talks, here is my top 5 talks changed my career perspective, and links where you can watch it. Mark Theriault: Complexity Vs Simplicity. How young artists tend to over complicate the task provided to them, and being shy asking expert colleagues for a help. Allan Mckay: What 20 years of failing has taught. The personal journey of Allan McKay and why he perused VFX career. And how simply by changing his mentality and adapting the businessman mindset has affected his profession. Anselm von Seherr-Thoss: On-Set VFX Supervision. Ansi discusses the responsibilities of an On-set VFX Supervisor, and what type of gears and pieces of equipment he needs. Jason Scheier: Color and Light for visual storytelling. How lights and mood and choosing color palette can impact your Artworks. Allan Mckay: Guerilla Film Making and VFX. Allan discusses how there are no excuses for the artists to create awesome artworks and contents by simply using a mobile camera and adding some effects. To get the most of IAMAG, it pays off to prepare yourself ahead of time before the conference starts with these little tips. Typically, Patrice the founder provides you with a conference program and speaker list before the event in digital format. It may also be available on the conference website. Normally I study the program carefully and decide which talks I am interested in any kind of topics I want to learn about. Also, I study the speaker list and take note of all the artists I wish to meet during the event or I wish to finalize a business deal with in the future. I recommend creating a “priority wish list” of artists and attendees you’d like to meet and to get to know them better. Prior to the event, it is a good idea to send these people an email or a message if you have them on any social media platform in order to introduce yourself. Do not annoy them! Three lines introducing yourself and that you would like to meet them during IAMAG is enough. Speakers usually hang out during the event but keep in mind that a conference is always a very busy time and speakers can get easily pulled from one side or the other. There is also a possibility that due to a speaker’s intense work schedule, she/he must work from their room and are not necessarily able to join the social time. Tip: If you find that a talk you are interested in conflicts with an opportunity to meet with an artist from your priority list, go for the artist. The reason for this is that most of the talks will be recorded (with some exceptions, such as animation talks from Disney and Pixar), but meeting your hero artist might be a once in a lifetime chance. I personally find the best time to talk to my favorite speakers in the pre-event social meet up events. The organizers of IAMAG usually announce it on the event’s homepage. You can also find information on how to find it on-site. Another tip: I recommend to post your artwork through IAMAG Social wall and post link to your portfolio, so all attendees get to know you a little bit before. If it is your first time at a large event like IAMAG and you do not know anybody yet, a good way to get started is to introduce yourself to the event organizers Lymarie Patrice and Benjamin Couronne. Having done this in the past has provided greater opportunities to meet high profile lecturers and attendees because of the added benefit of knowing the organizers, who in turn know everyone else. 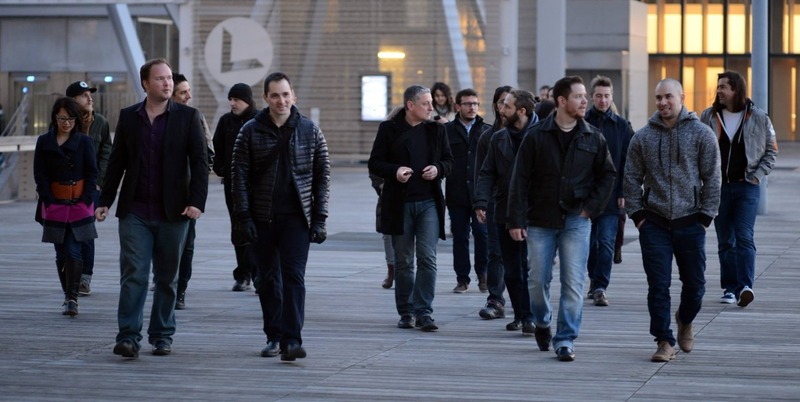 While networking during coffee breaks and lunches is super valuable, but you do not want to miss out the networking time in the bar after the talks finished, try to find out from Patrice where everybody will head out for a drink in the evenings. There is no need to get drunk or go crazy but mingling with other attendees in the bar will do wonders for your network and business. However, no matter how long the night was, make sure to turn up to the conference the next day, you can sleep on your flight back home. 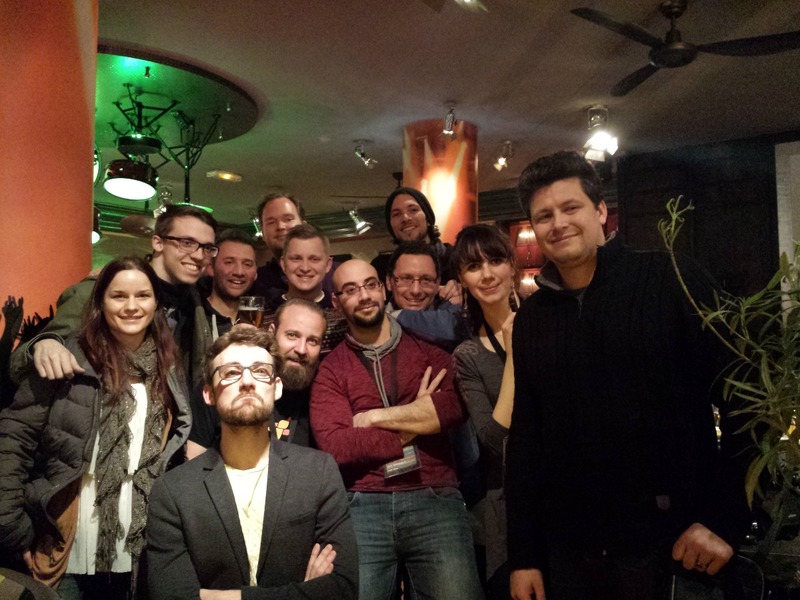 From the Left: Gaëlle Seguillon, Stefan walsh, Jerome moab, Marko süssinger, Allan Mckay, Matteo migliorini, Chris Dee, Margaux Doury, Anslem von Seherr-Thoss, Me. The event is awesome, and my investment was worth my money. In my humble opinion, my only suggestion I can think of is for the IAMAG to keep rocking even more attendee and famous guests and speakers are to increase the time duration of each talk. Last year, I felt the talks were short and speakers have lots to offer but the time did not quite fit. Bringing artist with a busy schedule like Ash Thorp is not an easy task, therefore getting the chance and offer them more time will help more. The last tip for Attendees, if you enjoyed IAMAG, make sure to save the date for next year’s edition and plan your budget accordingly. This will allow you to book flights and hotel while they are still cheap and make use of early bird discounts for the registration fee. For those on the fence about attending IAMAG 2018 I offer my strong recommendation, enjoy it and thanks Patrice. Mahmoud Alkawadri is director of MK Design and Visualization Studio who specializes in VFX and 3D visualization images for architectural, interior design and property marketing.